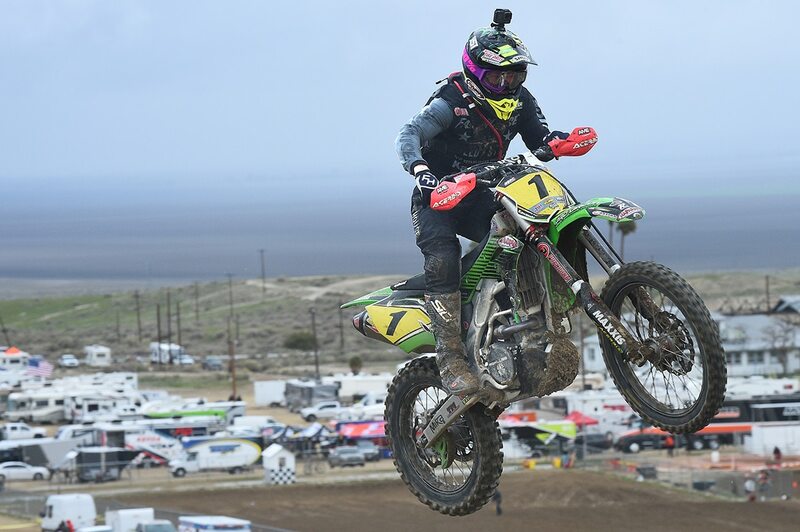 Round two of the AMA National Grand Prix Championship Series took place in Taft, California this weekend under the organization of the Dirt Diggers MC. It drew a huge Pro turnout despite a threatening storm that might have turned the race into a survival run. In the end, the rain was light, although it did cause vision problems and some slick surfaces. 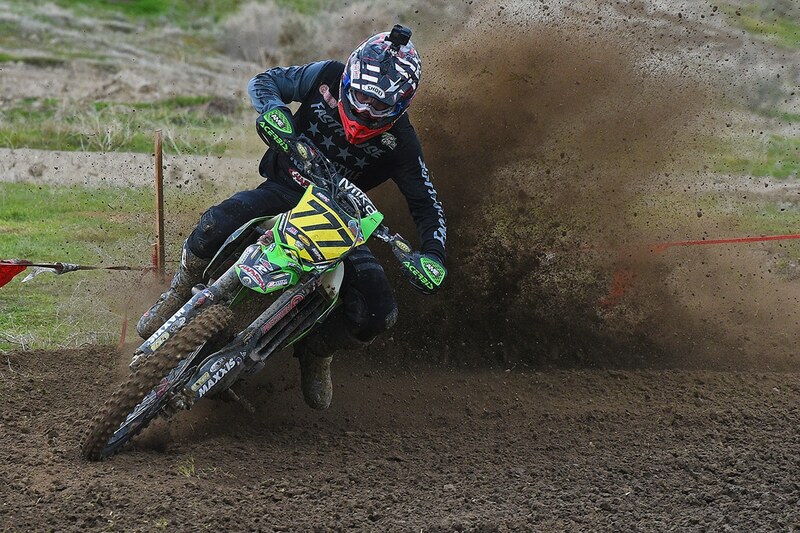 Through it all, Precision Concepts Chaparral Kawasaki rider Zach Bell was in complete control. 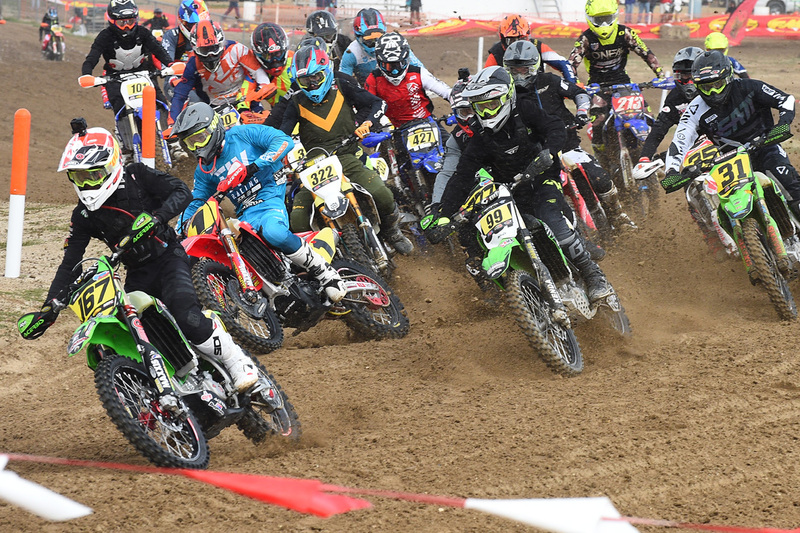 He took the holeshot and didn’t even relinquish the lead when it came time to pit. 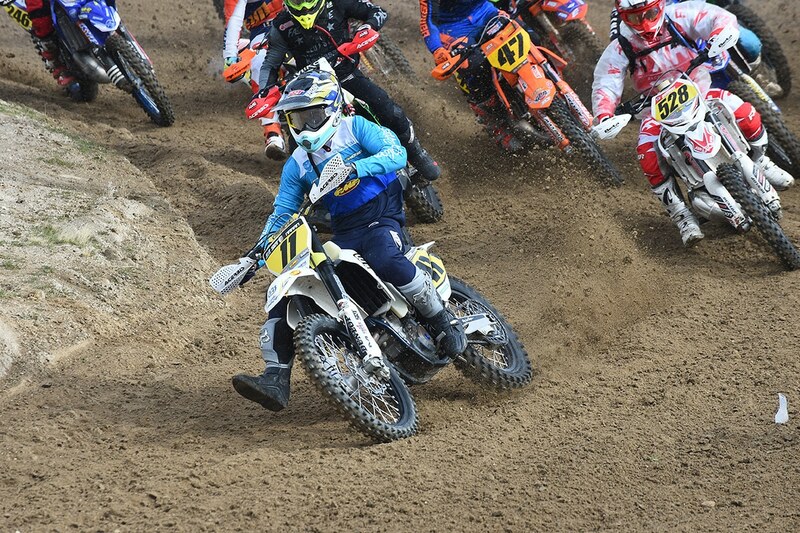 JCR’s Trevor Stewart spent the entire race a few second back, but was unable to close the gap. Same goes for Zach Bell’s Teammate Blayne Thompson, who was alone in third for 90 minutes of racing. But behind him, the race for fourth was tight. 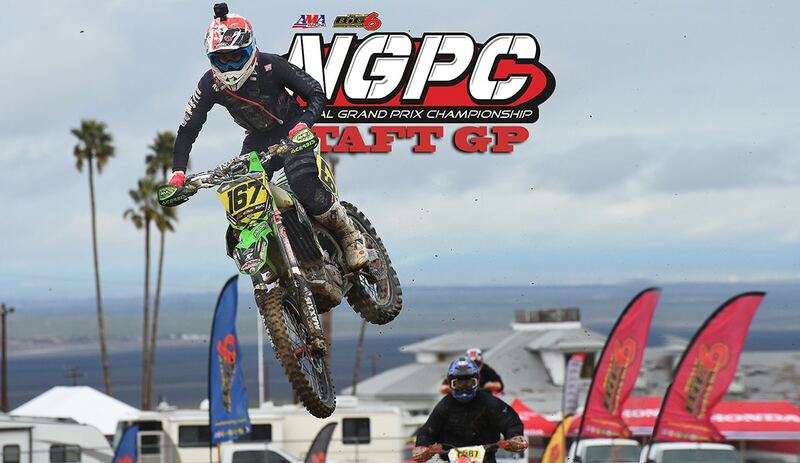 Eric Yorba, Dante Oliveira and Dalton Shirey all took turns with motocrossers Ryan Surratt and Justin Hoeft getting in the mix as well. In the end, Shirey got away after Yorba suffered trouble. The pro 2 class was an extremely tight race between 3Bros’ Ciaran Naran, RPM Racing’s Austin Serpa and Chaparral’s Clay Hengeveld. Naran got the win, and Hengeveld passed for second at the very end of the race. Full results will be up on the new NGPC website www.ngpcseries.com soon. Precision Concepts Chaparral Kawasaki rider Zach Bell got in front early and held the lead all the way. 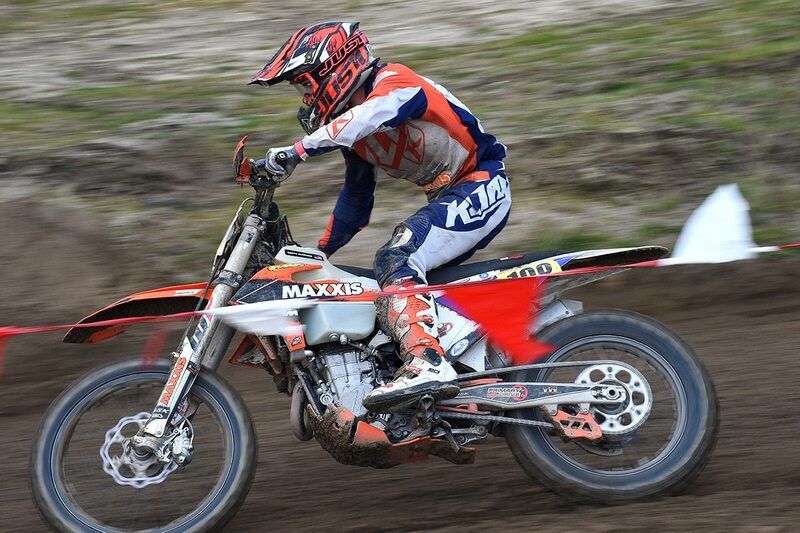 Defending champion Trevor Stewart of the JCR Honda team was second all day despite motor trouble. Blayne Thompson was third, never far from the front. 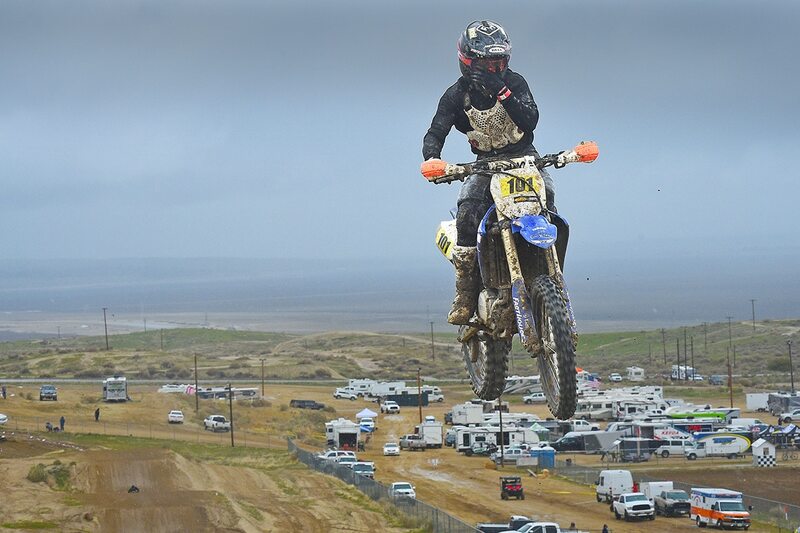 Purvines Yamaha rider Justin Seeds (213) was on a high after winning round one. 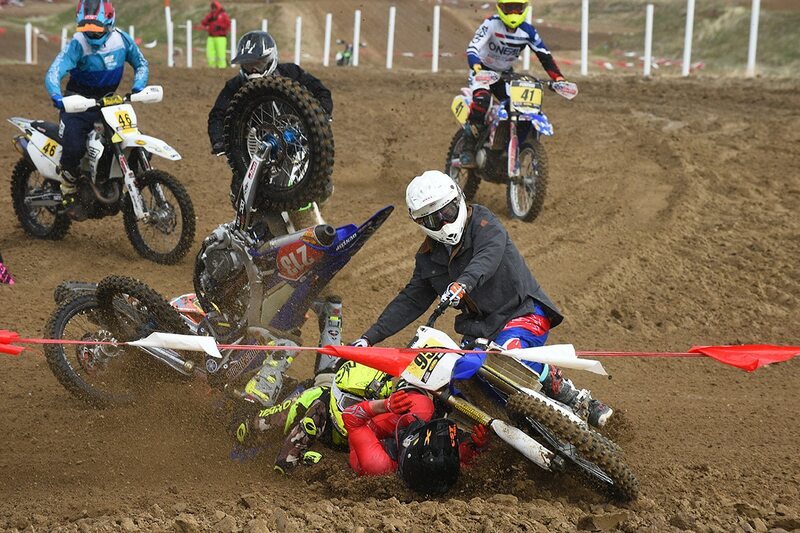 His day took a bad turn early when he went down in a first-turn pile -up. Seeds remounted and caught up to seventh. Mitch Anderson (under the pile) didn’t. Like everyone, Dalton Shirey struggled with vision. 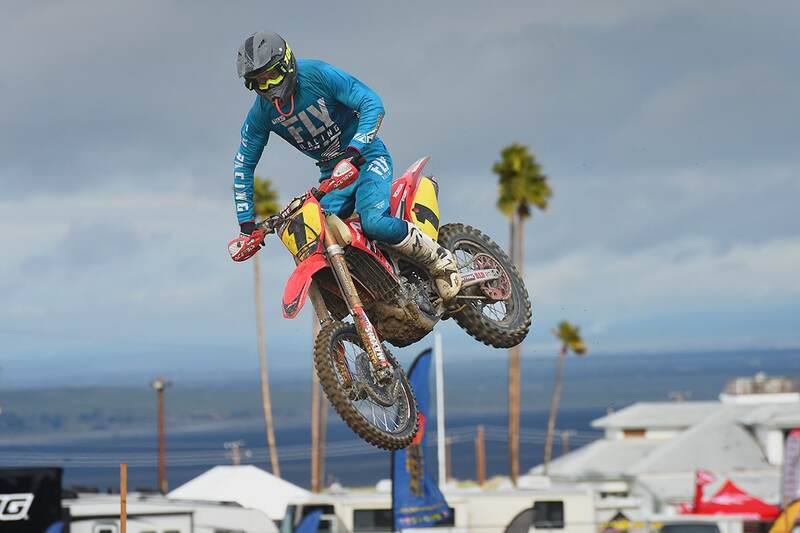 Dante Oliveira spent the whole race battling for fourth with Shirey and Eric Yorba. 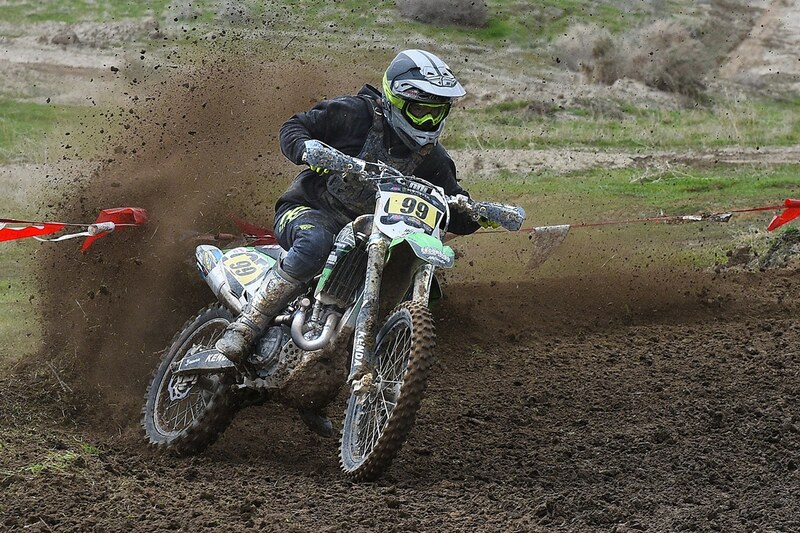 Ryan Surratt has ridden off-road races before and looked comfortable at Taft. 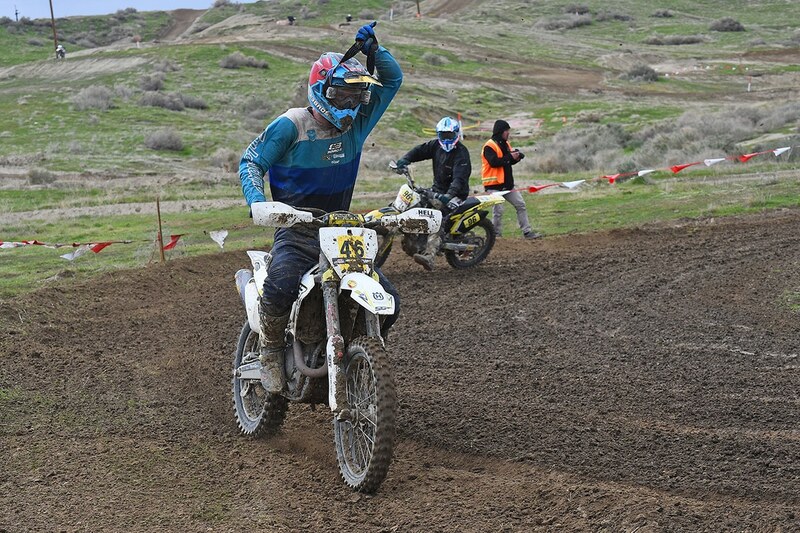 Justin Hoeft was another motocrosser giving off-road racing a try. Ciaran Naran was in front of the Pro 2 class in the end, but was bar to bar with Austin Serpa for much of the race. Clay Hengeveld passed Serpa for second place Pro 2 in one of the very last turns. 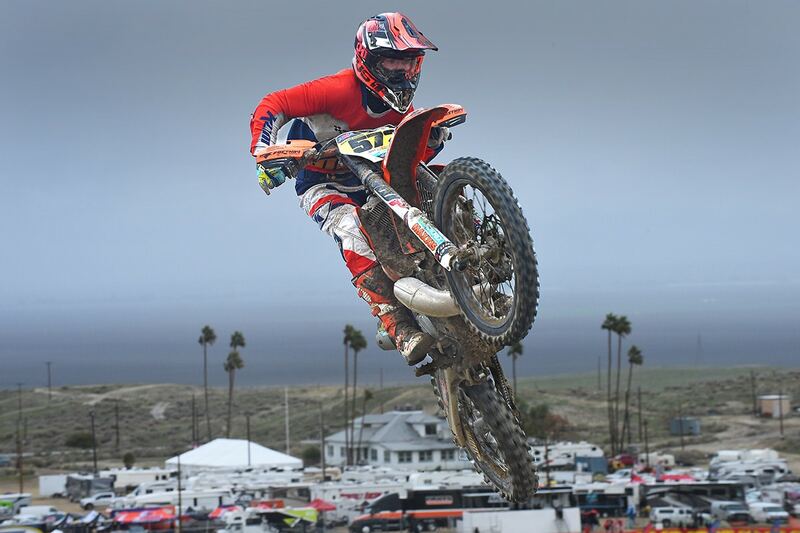 Austin Serpa rounded out the Pro 2 podium. 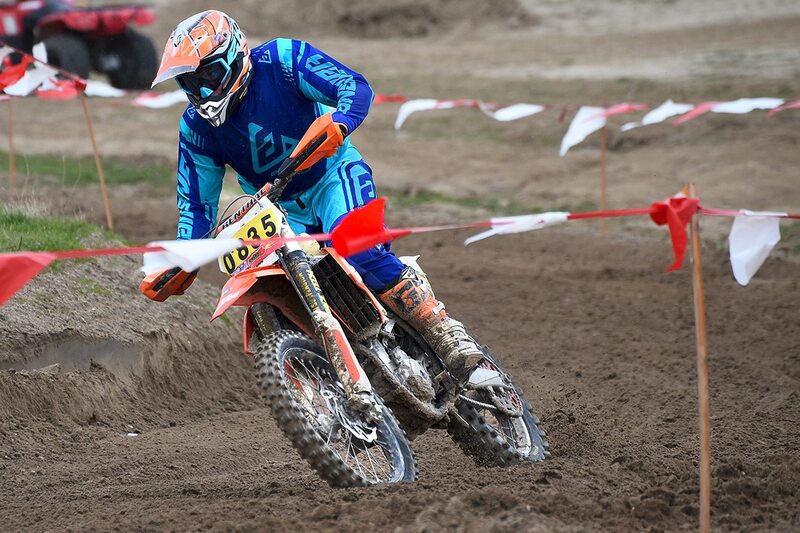 Paul Krause was an ironman over the weekend, racing in the +50, +40 and +30 classes.